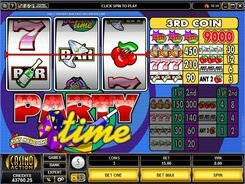 Party Time is a three-reel one-payline video slot produced by Microgaming and themed around night clubs and parties. The symbols are cherries, bars with a cocktail glass, bars with a bottle, sevens, and juke boxes. 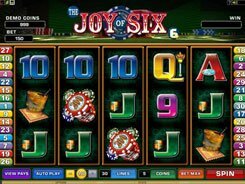 A player can select the number of coins per line (1, 2 or 3) and adjust a coin value from $0.25 to $5. 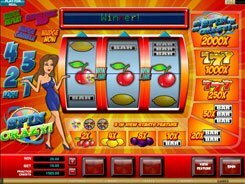 Thus, the maximum bet reaches $15 per spin. 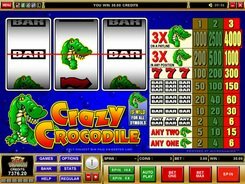 Whilst you can bet one or two coins, it is recommended that you place a three-coin wager, otherwise the highest-paying combination of three Party Time logos will be missed. 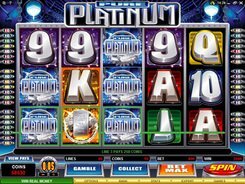 If playing at max, you stand the chance to grab a fantastic win of $45,000 for that combo! Other symbols produce less generous awards that vary from 1 to 450 coins, for three of a kind. 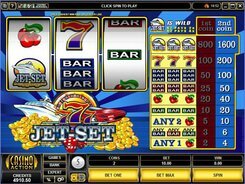 Besides, bar symbols pay out in mixed combinations as well. 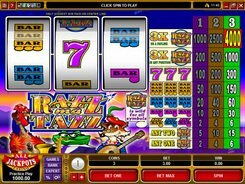 Party Time has no wilds, scatters and bonus features, but its refreshing Vegas-style look and feel, and a stunning fixed jackpot will appeal to classic slot enthusiasts and rookies alike.